To order our shellfish phone us. All shellfish grown at, and shipped from, Tom's Cove Aquafarms is carefully handled and peronally inspected. Our products fully meet national HACCP quality control requirements. Our goal is to make sure our customers receive only the finest and freshest shellfish available. 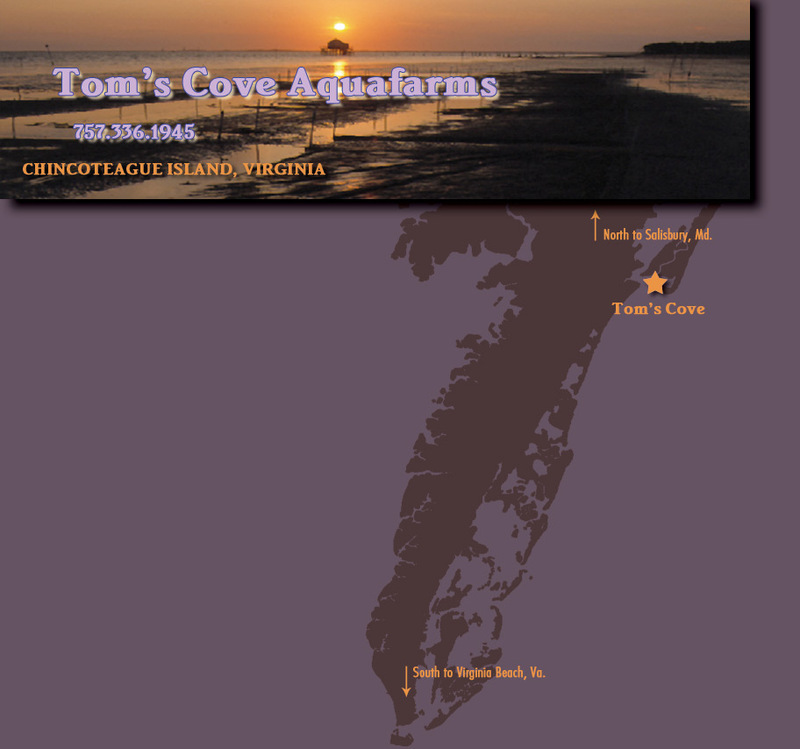 Again, at Tom's Cove Aquafarms our goal is to provide the freshest seafood available. If, for any reason, you are not completely satisfied with your order, contact us within 24 hours of delivery. When appropriate, we will replace your order, or refund your money, The choice will be yours.